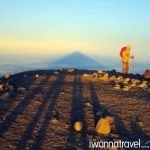 The island of Java boasts one single mountain that almost all serious local hikers aspire to climb: Mount Semeru. 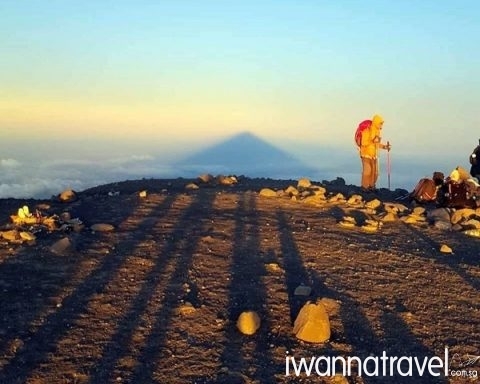 Mount Semeru also known as Mahameru, meaning “The Great Mountain” rises abruptly to 3676m above coastal plains to the south, is one of the most challenging mountain climbs in Indonesia. It is also a restless volcano that is known for its regular ash eruptions that occur at intervals of 10-30 minutes. The trail is also blessed with finest scenery throughout from savannah grasslands, lavender fields, and beautiful tranquil lakes to fuming crater. Fly direct from Singapore Changi Airport to Surabaya Juanda International Airport. Upon arrival at the airport, you will be picked up by our friendly guide to Tumpung (approx. 2.5 hrs drive). At Tumpang, you will be transferred to a 4WD jeepneys for an exciting ride to your homestay in Ranu Pani Village (approx. 1.5 hrs. drive). 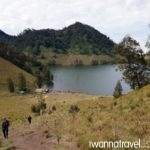 At 2100m high, it is one of the highest villages in Indonesia. Enjoy the crisp mountain air and scenery as the jeep whizzes along mountain ridges that look down to beautiful terraced fields. Explore the tranquil village where church and mosque peacefully coexisted, Ranu Pani Lake and surrounding farms at your own leisure. 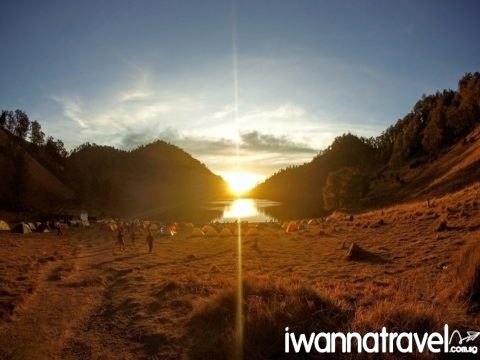 After your homestay breakfast, you will embark on the 4-5 hours trek to Ranu Kumbolo (2400m). Along the way you will pass by vegetable plots of potatoes, onions, leeks, tomato, cabbages etc. Spaced out along the trail are four checkpoints with shelters where entrepreneuring villagers have set up small booths selling watermelons, snacks and isotonic drinks. Your guide will point out interesting features and plants along the trail. 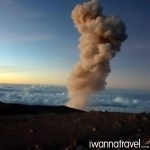 Look out for the seemingly insurmountable peak of Semeru and its eruption fumes which puffs out every 20 minutes or so. Enjoy a relaxing picnic lunch by the picturesque Ranu Kumbolo located high up on the slope of Mount Semeru. 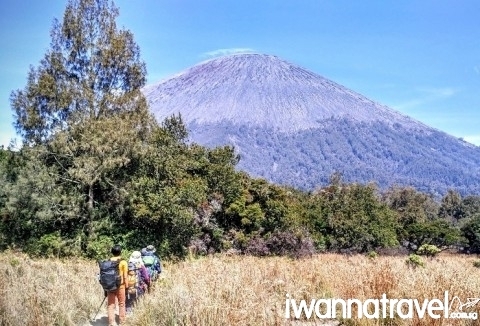 After lunch, you will trek for another 3 hours to Kalimanti Camp (2700m) where you will set up camp for the night. You will be given an early morning wake up call at 12am for the summit trek. 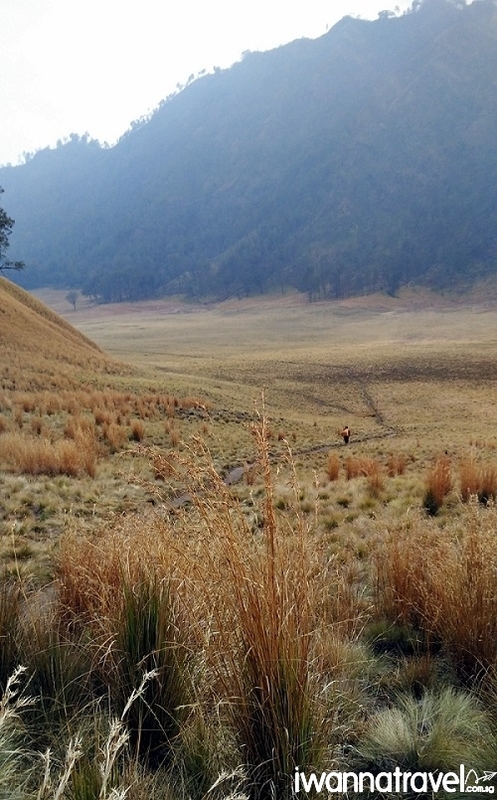 The terrain of the 5-6 hours trek up the summit is steep with loose volcanic soil – considered to be the most challenging part of the Semeru trek. 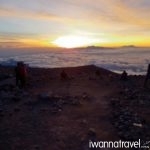 After the workout, you will be rewarded with amazing sunrise views above the clouds at the summit (3676m). The view from the rooftop of Java is incredible with breathing views of east Java’s major peaks. After sunrise, you will “skid down” (it is difficult to stop yourselves from sliding down the slippery terrain) to Kalimati Camp for breakfast. Thereafter you will break camp and descend to Ranu Kumbolo for one more night of camping in the mountains. The iridescent beauty of the Milky Way awaits you in the night. 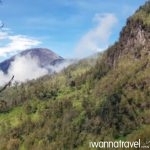 After breakfast, you will trek back to Ranu Pani Village using a different route via Gunung Ajekajek which has some up slope section but offers an alternative view of the mountain. Upon arrival at Ranu Pani Village, you will be transferred to your hotel in Surabaya (approx. 4 hrs drive). Freshen up with a hot shower and some rest after which your driver will bring you out for dinner and some shopping. 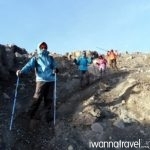 Need more information on Mount Semeru? Read through our Mount Semeru frequently asked questions and get them answered! 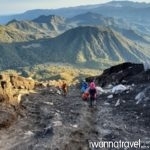 Mount Bromo sunrise tour via 4WD can be arranged on the fifth day of the itinerary. “Hi Bob, thanks very much for making the arrangements and making this trip a meaningful one for me. The service that you have provided is exception, really unlike any vendors that I have engaged before. The prompt replies and staying connected with the traveller during the trip helps to reassure the traveller. The guides that were engaged were also very professional and ensures the safety of the climber. The guides takes the effort to brief the climber and checks that there are proper safety equipment before the hike so that safety of the climber will not be compromised. It was a smooth trip. The drivers for the transfers were also punctual. It’s really a great trip! Thank you very much!